Helping Pets With Their Healthy Smile is Our Mission! Dory has been in the veterinary field since 1998, and received her certification in 2001. She has worked at specialty practices including Opthalmology, Dermatology, and with avian and exotics. She has a special interest in Dentistry and Anesthesia, and is very excited about being a part of the Animal Dental Clinic Team. When she is not working, she enjoys spending time with her hubby Brian, their son Charlie, and her two furry friends, Basil and Ash. 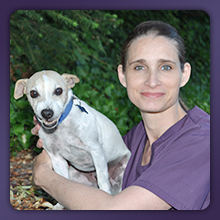 Nikki has worked in veterinary medicine since 1997, and received her certification in 2001. She has worked in several general practices as well as internal medicine and a surgical practice. Nikki is very excited to be part of Animal Dental Clinic, and the opportunity to improve the lives of people’s companions through better oral health. Nikki lives in NW Portland with her geriatric Siamese cate Named Sir. In her free time she enjoys reading, baking, gardening and spending time with friends and family. 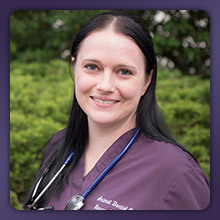 Renae is a Certified Veterinary Technician who moved to Oregon in 2014 from Colorado. She’s been in the veterinary field since 2004 and she graduated from Bel-Rea Institute in 2006. 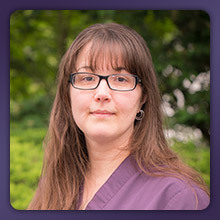 Over the last several years Renae has focused primarily in the veterinary dental field and in 2014 she passed the Academy of Veterinary Dental Technicians (AVDT) Examination and is now a veterinary technician that specializes in dentistry. Renae loves teaching and sharing her knowledge about veterinary dentistry throughout the veterinary community and providing clients with information about how they can provide the best care for their pet’s oral health. "In her spare time, Renae enjoys spending time with her family and exploring the beautiful outdoors. Leah is a Certified Veterinary Technician who has been working in veterinary field since 2008 and received her certification in 2011 from Pima Medical Institute in San Diego. Leah has worked in specialty medicine for the past 5 years focusing on emergency and critical care. However it has been a goal of hers to work in veterinary dentistry and will be working towards her specialty in veterinary dentistry. She recently relocated from San Diego with her dachshund, Trotsky and cat, Megabyte, Leah is excited to focus her training and utilize her skills to benefit our patients every day. In her free time, Leah enjoys hiking, camping and thoroughly enjoys football season. 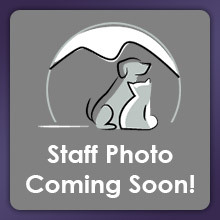 Lisa started her career in veterinary medicine in 1997, and graduated from Foothill Veterinary Technology Program in 2000. For 13 years, Lisa focused on animal dentistry, working as the Head Dental Technician at a busy 24 hour general practice in California. 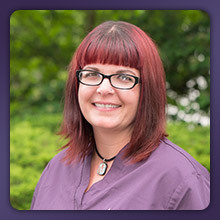 In 2014 Lisa furthered her career by obtaining her specialty certification in dentistry through the Academy of Veterinary Dental Technicians (AVDT). Lisa is thrilled to be apart of the ADC team, and shares the passion in providing the highest quality medical and dental care to her patients. During her spare time, Lisa enjoys relaxing with her family and her three dogs; French bulldog "Mary", Boston Terrier "Sami" and Pit Bull "Ivy".